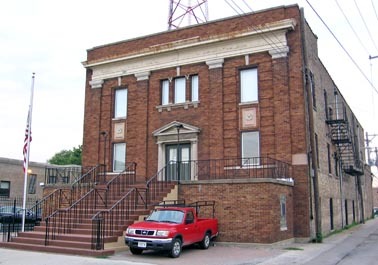 Located at 5418 West Gale Street, Jefferson Park Masonic Temple has been home to the Old Chicago York Rite bodies since December 2006. Our monthly assemblies are held on the fourth Tuesday evening of each month. Our temple is easily accessible from the Kennedy Expressway (I-90), Milwaukee Avenue, the CTA’s Blue Line, and Metra’s Union Pacific Northwest Line. 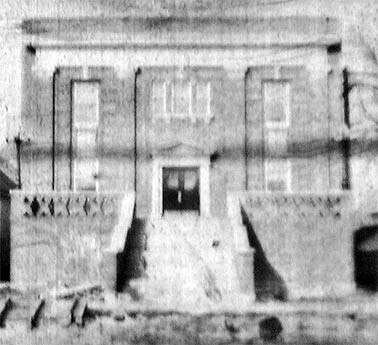 The cornerstone was laid 13 September 1912, and the temple was dedicated 4 January 1913. Fellowship Royal Arch Chapter No. 235 met here until that chapter’s merger into Irving Park Chapter No. 195 on 17 January 1964. 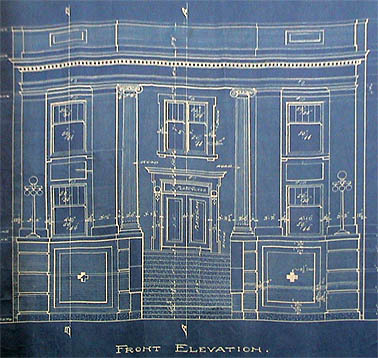 The mid-construction photograph and the blueprints, both shown to the left, come to us through the courtesy of our neighbour, Hesperia Lodge No. 411, A.F.&A.M. See Bruce Barnes, ed., “History and Rededication of Jefferson Masonic Temple,” The Hesperian (Chicago), vol. 70, no. 3 (July 2005): 1, 16. See also Edward E. Gaunt, A Historical Account of the First 100 Years of Providence Lodge No. 711, A.F.&A.M., (date unknown [c. 1968? ]).